Tyrese is obviously going through a lot at the moment and his social media outtbursts seem to show that he's having a mental breakdown but he says that's not the case. According to him, he's just a desperate father who has been bled dry by an angry ex-wife. For weeks now, Tyrese has been calling out co-star Dwayne "The Rock" Johnson" on social media and each time, he says he's doing it for his daughter, so she can eat. His recent Instagram post calling out The Rock said in part, "You mess with family and my daughters survival I mess with yours" as he revealed he will pull out of Fast & Furious 9 if Dwayne is there. Tyrese's desperate need to film Fast & Furious 9 was thwarted when The Rock started shooting his Fast & Furious spin-off movie and as such the release of Fast & Furious 9 had to be pushed to a later date. Tyrese feels this is tantmount to taking food from his daughter's mouth. He's been in court over his legal battle to see his daughter and it's costing him so much so he needs money from F&F 9. Tyrese says he's going broke defending himself in court, paying huge legal bills. He says that's why he's so angry at The Rock, who's doing a spinoff of 'Fast & Furious' that is delaying the 9th installment of the franchise by a year. Tyrese says he desperately needs the paycheck. He recorded an emotional breakdown hours before heading to court. 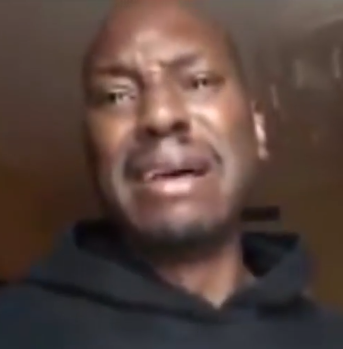 In the video, Tyrese cried at some point and at other times he was just angry as he reveals he's been away from 10-year-old Shayla for too long (2 months) and begs his ex-wife, Norma Gibson, to drop her fight for a restraining order against him. He vehemently denies physically abusing Shayla and strongly believes Norma Gibson is motivated by spite and is making up claims to drive a wedge between him and his daughter. The actor says Norma's claims have made him virtually unemployable ... essentially ruining his life, but he's determined to fight on so he can regain some form of custody. He says he is no different than an everyday Joe in Chicago who is fighting for his child.